As an event planner, audiovisual is one of your secret weapons for adding the WOW factor to your event. But for a lot of event planners, it’s also slightly uncomfortable territory, largely handled by someone else, and learned through trial and error over the years. Audiovisual (AV) is a huge part of events that impacts every room, presentation, and certainly your budget. When it goes well, it may not be noticed at all except for attendees walking away feeling like they just attended an amazing event. But when AV goes wrong – watch out: your attendee experience and/or budget suffer the consequences. Luckily (or unluckily depending on where you’re standing), there are some very common audiovisual mistakes event planners make that you can avoid by keeping the list below handy! Mistake #1 – The content from presenters is distorted when displayed. This is a very common problem, particularly from presenters using their own templates. The audiovisual issue here is an aspect ratio mismatch of AV equipment versus content slides. How to Avoid It: First, choose the presentation size you want to use. The most common two options are widescreen at 16:9 (a horizontal rectangle) and four-three 4:3 aspect ratio (closer to a square image) and widescreen is currently ‘in vogue.’ Your AV provider will be able to recommend the correct screen size to match your presentation size. Create a standard template for all presenters and share it well ahead of your content due date. If you’re allowing presenters to use their own template, share presentation guidelines and prominently note the aspect ratio/presentation size to be used. Finally, consider having an onsite graphic design resource to make last-minute presentation adjustments like reformatting presentations submitted in the wrong aspect ratio, adjusting the notes view on the confidence monitors, fixing transitions from one slide to the next and more. Mistake #2 – That perfect video from your presenter stutters – and is that a commercial?? Playing a video during a presentation isn’t as easy as it looks. You can embed a version directly into PowerPoint but the quality is low and it only handles small files. And playing from YouTube runs the risk of commercial interruption and buffering (those stops and stutters and rainbow wheels of death you do NOT want to see during a live presentation) due to internet connection issues. How to Avoid It: For the highest quality and best audience experience, work with your AV partner to get a direct video file, and play it out of a video playback system. Mistake #3 – What are these extra power and rigging fees from the venue? Venues have lots of fees that are not intuitive unless you’ve run into them before (and can be hidden in those huge contracts too). And even as an experienced pro, you may run into fees you’ve never seen when you work with a new venue since fees like power vary across venues. Who would imagine power would mean different things at different places? But it can mean everything from merely plugging in your equipment to additional power sources or distribution. Rigging points are a universal point of mistake for event planners who don’t work with AV production partners. These are places on the ceiling and walls where you’re approved to hang equipment like lighting and projectors. How to Avoid It: Most venues charge a special rigging fee or attempt to require that you use the in-house provider manage this portion of the project. Work with an AV partner like AVT Productions during your venue selection to keep an eye out for things like this (see #10 on this list). Also, ask your venue contact right up front to point out and explain the part of the contract that outlines these terms to you. Even if you don’t know up front exactly what AV equipment you’ll be using, assume you will need multiple rigging points and negotiate accordingly. Mistake #4 – The back quarter of the audience can’t hear (and/or see) the presenters! The size of your room will dictate your audio and screen needs. The most common mistake here is skimping on audio and assuming you’ll be OK. But straining to hear a presentation provides a terrible experience and your audience is unlikely to remember your message. How to Avoid It: Test your equipment well ahead of your show. Check the quality of audio speakers and microphones and place speakers throughout the room so everyone hears the presenter at the same ‘just right’ volume, particularly in a large room. For larger rooms, be sure to place screens throughout as well. Be sure to select an AV partner who knows how to adequately plan for your space. At AVT, we do this with unique tools like audio mapping which visually demonstrate how far your audio reach is in a space so quality is adjusted and assured for show time. Mistake #5 – The venue says I need to use their “in-house” AV team and I already signed the contract so… Securing your venue often comes early in the event planning process, and you may not yet even be thinking about who will provide AV and event production. But be aware – your venue is! Unfortunately, some of our clients learned this lesson the hard way, only after venue contracts were signed. There are lots of great reasons to use an outside AV partner, from creativity to cost savings to the partnership you can build across various venues you use. Read about them here. How to Avoid It: You are NOT required to use the in-house AV & production services – even if you already signed a contract. Check out this blog post with contract clauses for both before and after you sign. Mistake #6 – My equipment from AV0 is incompatible with AV1 which is incompatible with AV2 – what a mess! Taking a ‘Chinese menu’ approach – working with multiple AV providers on one event to save a few bucks here and there – is a recipe for disaster. 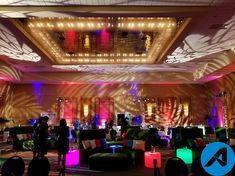 A flawless event requires seamless coordination and execution and the dollars you save on equipment will either be spent coordinating between vendors or in event failure when mistakes occur. How to Avoid It: Select one AV partner you trust to provide you the best overall event experience and bang for your buck. Mistake #7 – It’s an hour before the event and they’re still setting up equipment! A short install or strike time can drastically increase your labor costs. Less time means you’ll need a larger crew. It could also mean overtime. And it eliminates any chance of proper testing and rehearsal pre-show. How to Avoid It: Set-up times (and tear-down) for events are as different as equipment needs. A 100 person event takes vastly less time than a 3000 person event. Talk to your AV partner to find out how much time they need to set-up and tear-down your event and book the venue to include those times. Mistake #8 – My presenters want to practice but there’s no time! When it comes to high-level presentations and executive presenters, you absolutely need time to click through the decks and allow time for presenters to do a quick run through of their presentation. This allows you to have that onsite graphics designer make any last minute changes or touch-ups and executives to become comfortable with the process of getting on stage. Trying to cram this all into the morning of a program can increase labor costs, depending on the time, and can create a lot of unnecessary stress for presenters and planners. 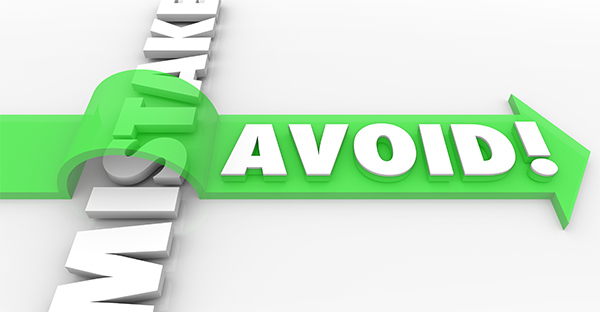 How to Avoid It: Be sure your AV partner holds a technical rehearsal first to ensure that all of the equipment is working properly and familiarize the production team with your show flow. Then, have them include a speaker rehearsal time at least a day before the event to work out any last minute kinks and familiarize your presenters with the process. Mistake #9 – Where am I going to put all of these cases?! Not to mention the people who run the show!! With equipment comes gear cases and as you probably noticed the first time you did a trade show and had to figure out where to put that booth container, you need a place to store containers or things get messy really quickly! More importantly, your audio engineer and stage manager/caller will need to be in the ‘front of house’ so they can properly manage the audio and staging and the rest of your AV team will need a space to run the show as well – this can either be in the ‘back of house’ or ‘front of house’ (i.e., somewhere in the room, hidden or inconspicuous, in the front or back). How to Avoid It: When you are booking your venue, reserve space for storage and make sure there is room for your AV team to run the show. Mistake #10 – Now that I’m planning the AV, this space is all wrong 🙁 Some spaces work better than others for certain events. Are there pillars in the room, a slanted wall? Is there room for front or rear projection? Is there a giant chandelier in the room that will interfere with your screen? What is the power availability and how much natural light pollution is there in the space? How to Avoid It: Consult with your AV partner during your venue selection. There are questions they will know to ask the venue that you may not know or remember on the spot, and choosing your venue without reviewing all of the technical aspects (many of which are outlined above like rigging points, space for storage and AV production teams, and speakers and screens) could seriously limit your event capabilities. The more input you get up front, the better your overall event experience will be for your attendees. Enter your email for a monthly digest of blog posts. Enter email for a monthly digest of blog posts. Independent vs “In-House” Audiovisual – Which One Wins? How to Use Audiovisual Technology to Make Your Event Branding POP! 10 Venue Negotiation Points – Don’t Leave These on the Table! © Copyright 2019 AVT Productions. All Rights Reserved.